Like you, St. Joseph, I too give praise and glory to God for the birth of my child. This child’s life is such a miraculous testimony of God’s loving presence. My heart is filled with grateful joy. Join me dear St. Joseph, in offering thanks to God for the gift of my child. 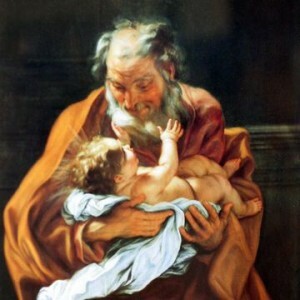 What great trust and confidence God placed in you, St. Joseph, byentrusting his only Son into your fatherly care. This inspires me to entrust the spiritual care and protection of my newborn child into your competent and loving hands. Teach, guide, and support me to fulfill well my awesome vocation to be a worthy parent to this child. Amen.